Successfully Added iOutdoor T1 Rugged Phone - IP68 Waterproof, Bluetooth, Dual-IMEI, 2MP Camera, Flashlight, 2100mAh Battery (Yellow) to your Shopping Cart. The iOutdoor T1 is a rugged cell phone that lets you enjoy all basic phone features while you’re in the outdoors. With its extremely durable IP68 rated body, this rugged phone is fully protected against dust, water, and drops. You will be able to use this cell phone in virtually any environment without needing to worry about accidentally breaking it. The phone itself comes with a nice 2.4-Inch display and a regular keypad for easy usage. If you’re looking for a great and cheap outdoor phone, this little gizmo is perfect for you. Thanks to a whopping 2100mAh battery, this cell phone lets you head out into nature with confidence. Never again will you have to worry about running out of juice. This beauty treats you to 48 hours of continuous usage time and a stunning 9 days of standby time. With the iOutdoor T1 rugged phone at your side, worries about battery life will be an issue of the past. To further increase your overall user experience, this rugged phone comes with an FM radio, flashlight, 2MP camera, and Bluetooth support. 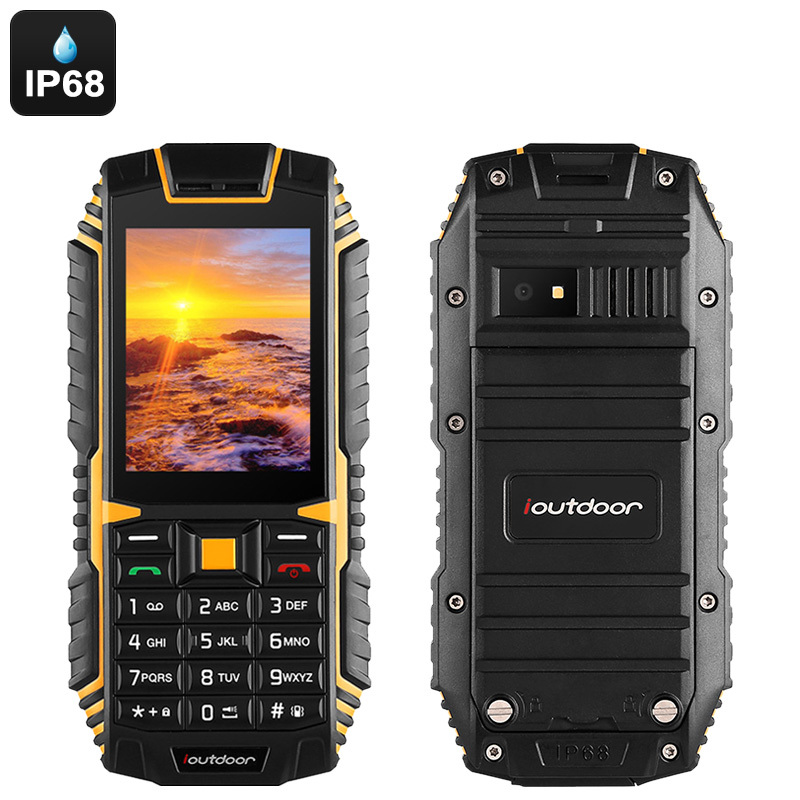 For great connectivity, this rugged phone supports Dual-IMEI numbers. This means that you’ll be able to slide in two SIM cards and stay connected to both at the same time. From now on, you can be reached on two different phone numbers while using merely one device. With its 32GB SD card support, this rugged phone holds more than enough storage to keep your contacts, files, and pictures.